This mod justifies Sharn, of the mages guild, as secret necromancer while also fixing a couple quest bugs never patched by the original game. 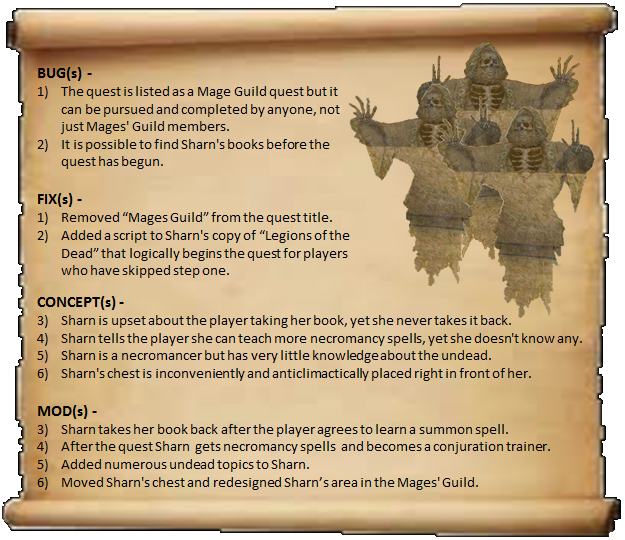 Sharn's necromancy is true to the original game lore, and clues can now be found in her bunk, chest, and work space. 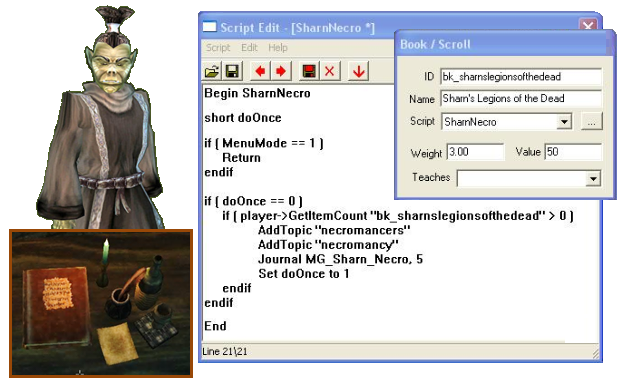 Clever player can also unlock necromancy topics while speaking to Sharn and learn a little bit more about Morrowind Lore.